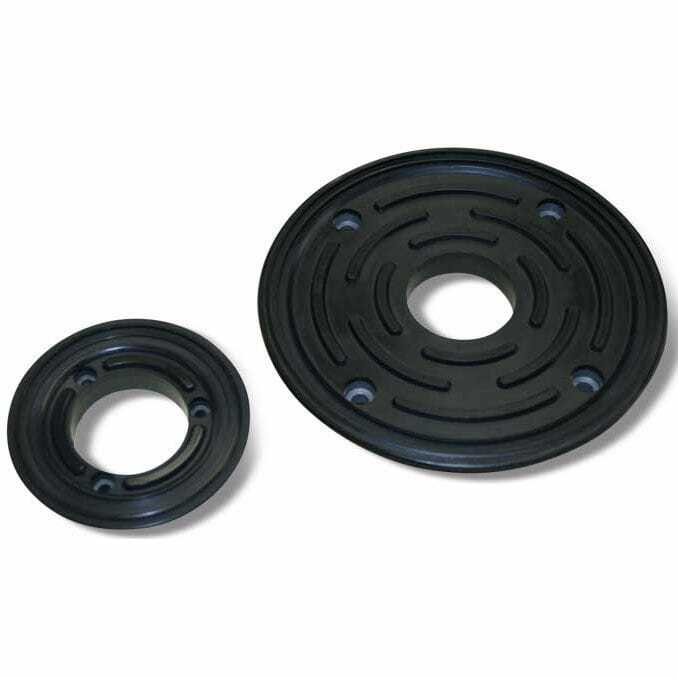 These flat circular cups come with vulcanized support, being suitable for clamping marble and glass. The fact that the manufacturers of marble and glass machining centers require increasingly safe and accurate clamping is no longer a secret, and this has led to the manufacturer coming up with this new series of cups. The items are vulcanized onto a steel support, being provided with a hole in the center for vacuum connection. In addition, the internal circumference has been fitted with three to four, for housing Allen screws. The lip is extremely flexible and allows easily adapting the products to the sheets, without any risk of rupture or deformation even when it comes to the thinnest products. The internal support plane of the cups ensures a high friction coefficient, while the gripping surface on wet glass and marble sheet is impressive. Finally, the manufacturer also guarantees a firm and safe grip in all situations.